I’ve been skating since I was 6 and 2016 is my 10th year of roller derby! Let’s start with the question everyone asks…How did you select your derby name and number? 6 was always my soccer number so it felt right to carry it into derby. As for my name, I wanted something funny and gross, but not offensive. Somehow it gives me a weird confidence – like, it’s not rocket science, just get out there and play. 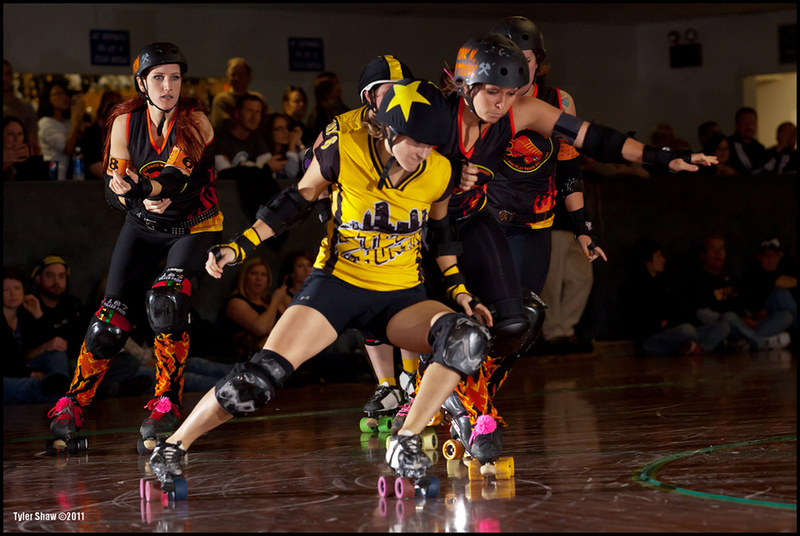 What is the first thing that comes to mind when you think of roller skates? What’s the most appealing part of the sport to you? It’s hard to narrow it down! I think it comes down to the constant problem solving and pushing to get better. And I love the connection and watching others and myself grow. It’s 1 minute before the first jam, what’s going on in your head? It can be nerve-racking to jam the first jam of a game, so I remind myself that the result of this one jam doesn’t determine the outcome of the game. It helps take the pressure off and lets me do my thing. I stink at blowing snot rockets. They get all over me. I try to get outside and to some trees or water to clear my head and reset as much as possible. Going for motorcycle rides in the woods. What personally motivates you to get back out there after a letdown? Sometimes it takes time and it can be really mental, but I work to get myself excited about learning to beat whatever it is that stopped me before. I make it a challenge to figure out what went wrong and what to do differently so there’s very little chance of the same thing happening again. What kind of training does it require to skate in Jantastic for you? Whew! I’m coming off of a long off season with mental recovery from the year and PT for my shoulder. I’ve been training my legs and lower body but there’s been a lot of rest.The first game of Jantastic is the first game of the season. Endurance and recovery and confidence is the name of the game this weekend. Three things your most look forward to at Jantastic? 1. I’m stoked to skate with Wolfpack again! It’s been a while since we’ve been together and it’s such a cool team! We’ve got some awesome new blood on the team too that I can’t wait to take the track with! Checking out the rosters for the other teams, these games are going to be intense. 2. 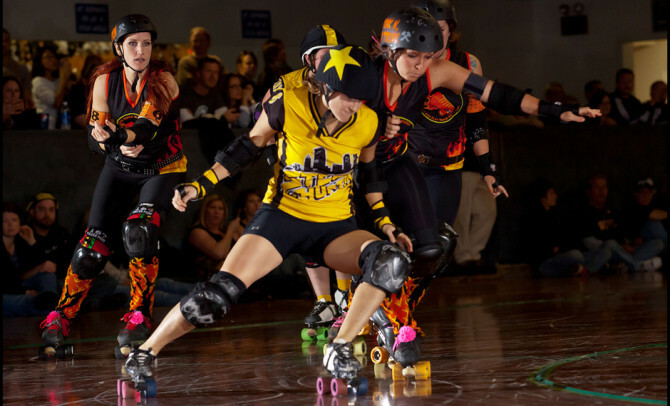 San Diego Derby Dolls’ program is so impressive, I love seeing what they’re up to! 3. We just had our first 8 degree night in Pittsburgh, so I’m definitely looking forward to some San Diego weather and the beach!